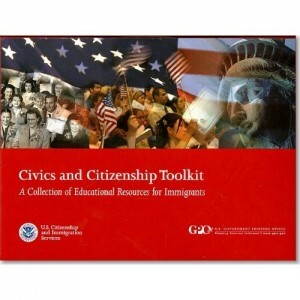 Visit www.uscis.gov/citizenshiptoolkit to obtain a free copy of the Toolkit. that librarians have the necessary tools to refer their patrons to accurate and reliable sources of information on immigration related topics. information on available online resources. This national webinar will be followed by quarterly webinars on immigration topics such as the naturalization process and test, the unauthorized practice of immigration law, and USCIS systems such as E-Verify and the USCIS Electronic Immigration System (USCIS ELIS). At the local level, libraries may also work with USCIS Community Relations Officers to schedule on-site information sessions as well as to obtain free USCIS materials, such as the Civics and Citizenship Toolkit. Please direct individuals to the Citizenship Resource Center (www.uscis.gov/citizenship), the website that provides immigrants, teachers, and organizations with a one-stop resource for locating citizenship preparation materials and activities.